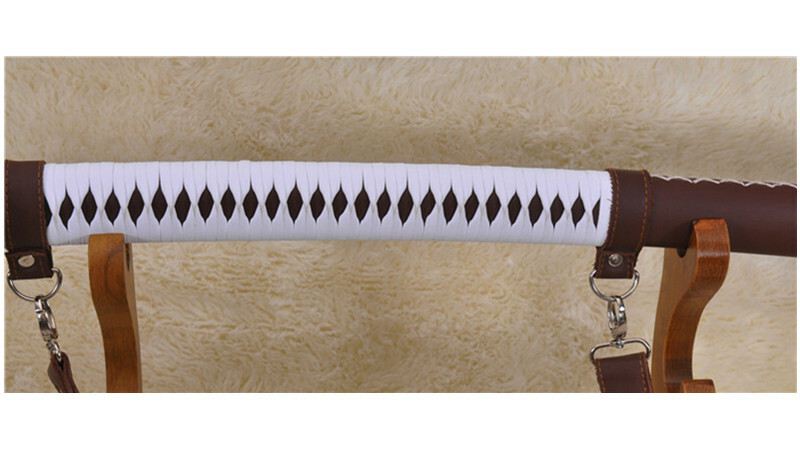 The Walking Dead is a popular television series based on a comic book series of the same name. 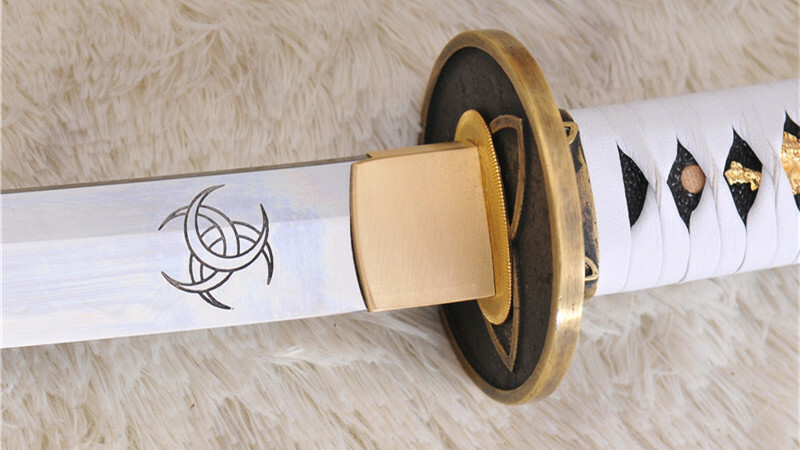 The series which started airing in 2010, features a post-zombie apocalypse world where humans struggle to survive against zombie attacks and aggression from other humans. 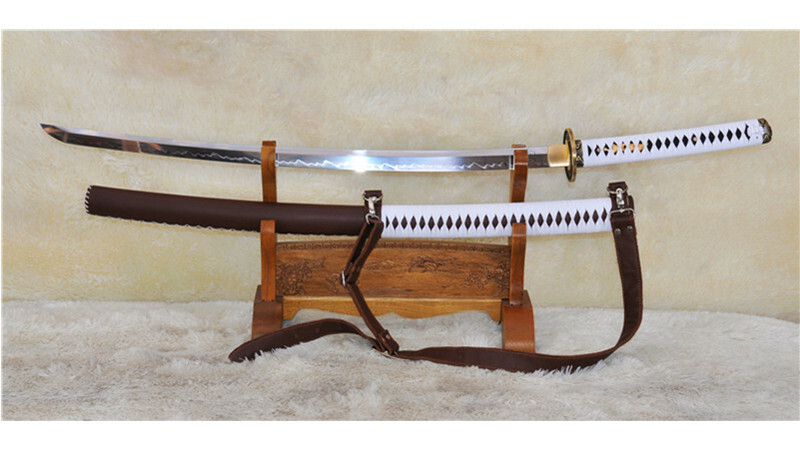 Michonne is a character in the series, well known for her katana which she uses to defend herself and her companions from zombies and other aggressors. 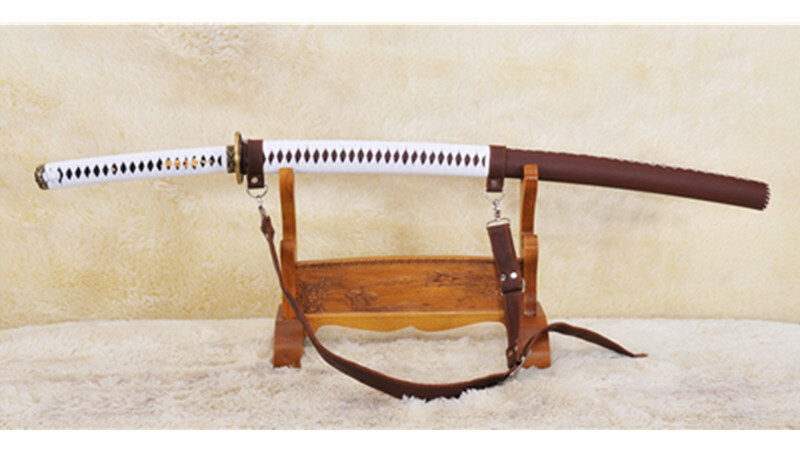 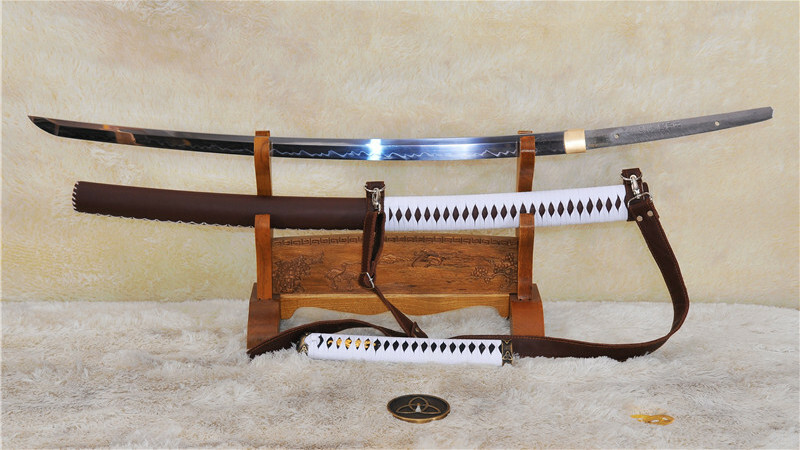 Ryan897 is a functional replica of the katana in the series. 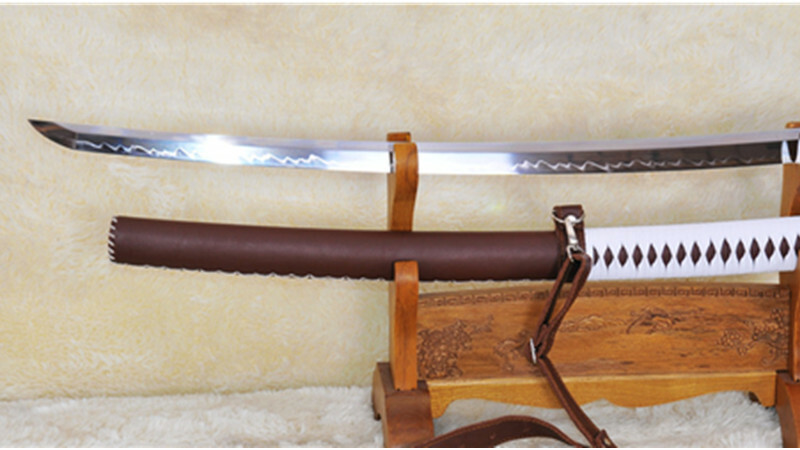 The blade is made of 1095 high carbon steel and clay tempered. 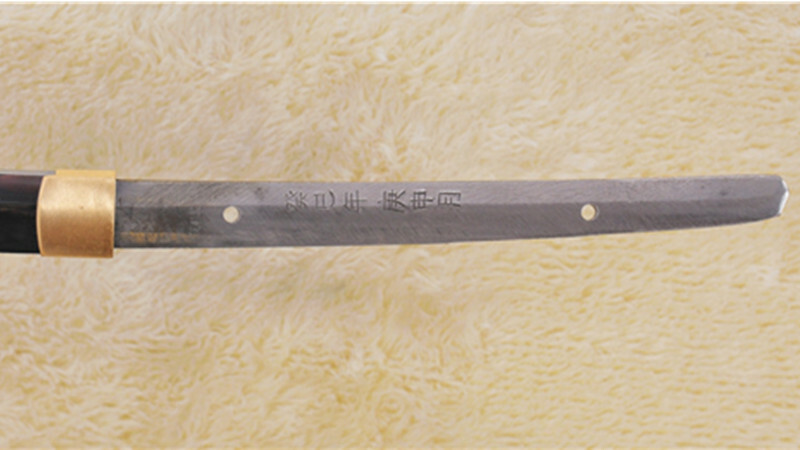 Beautiful hamon is clearly visible on shiny blade. 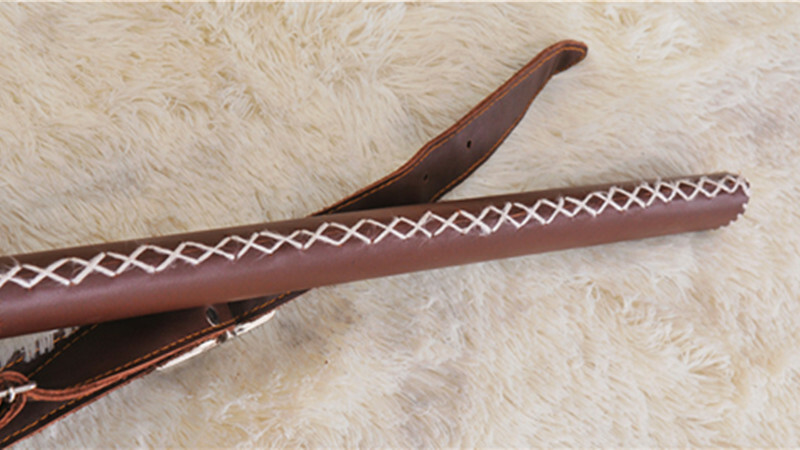 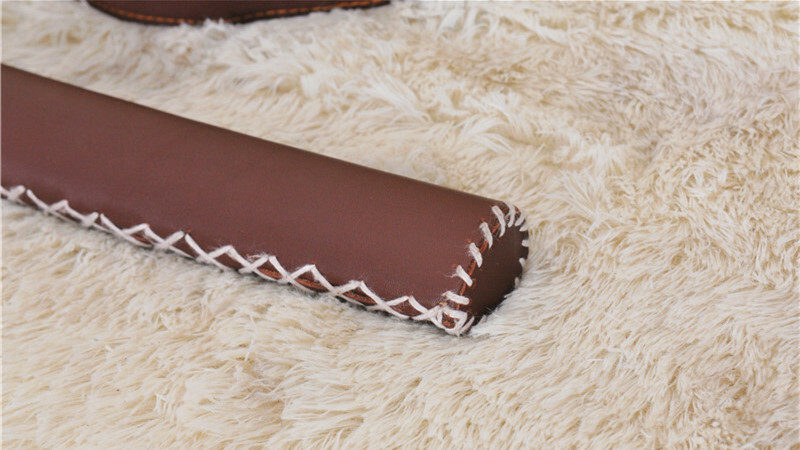 The saya is made of hardwood wrapped in brown, real leather and fitted with an adjustable leather sling. 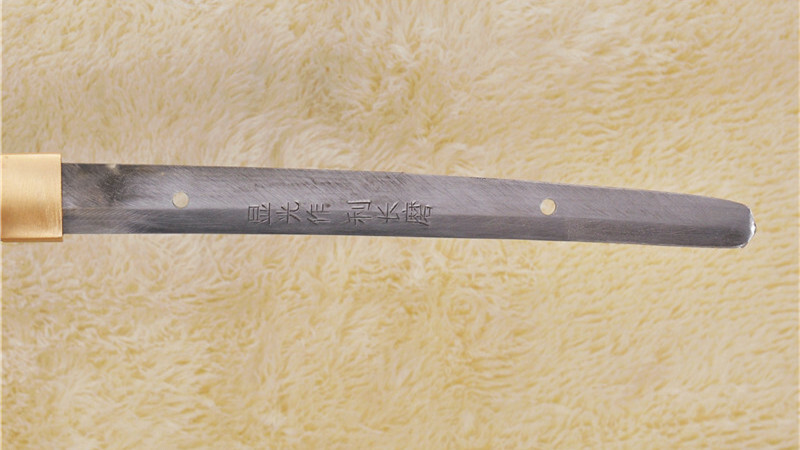 The saya is hand-sewed. 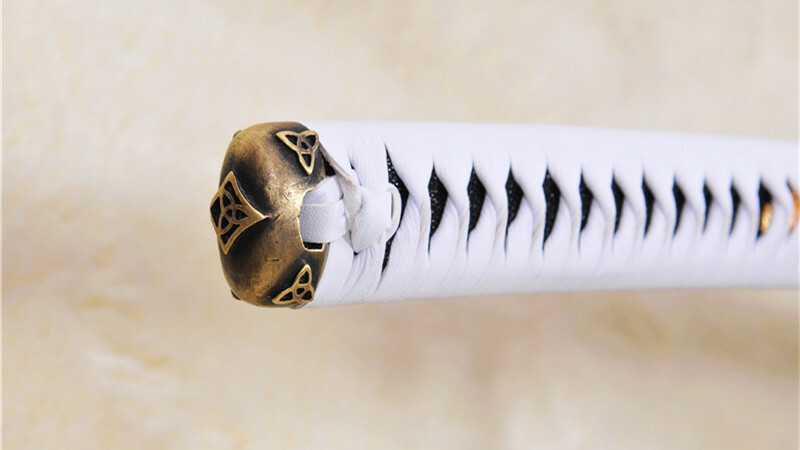 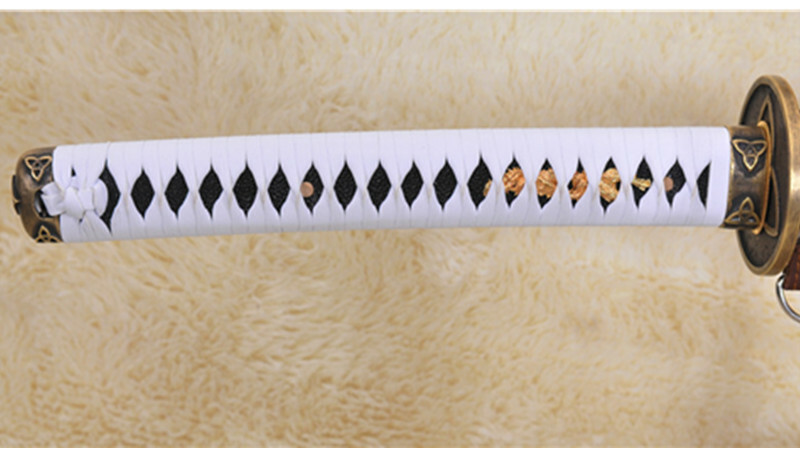 The tsuka and the upper half of the saya is wrapped with white, synthetic silk ito. 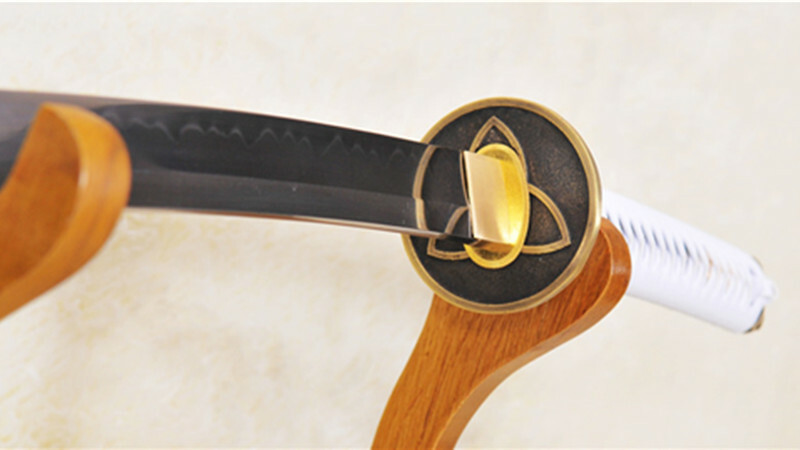 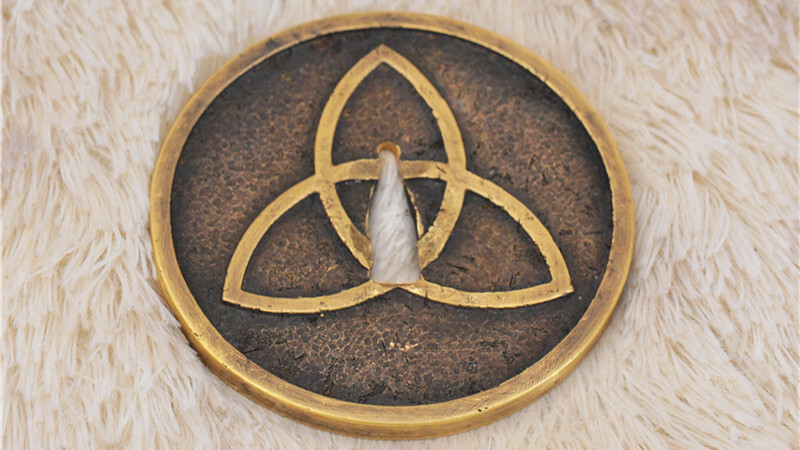 The tsuba, fuchi and kashira are made of brass.